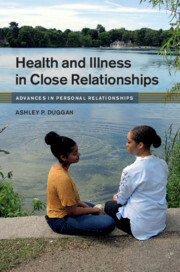 Health and Illness in Close Relationships Duggan Ashley P.
Add to cart the livre of Duggan Ashley P.
Health and Illness in Close Relationships provides an integrated theoretical framework for understanding the complexities of health trajectories and relationship processes. It is the first volume to review and synthesize current empirical evidence and associated theoretical constructs from the literature on health and illness in close relationships across the social and behavioral sciences. In doing so, it provides a unique cross-disciplinary understanding of how health and illness redefine relationships. The volume also maps out an explanatory framework of how the pathways and processes of close relationships pose considerations for resilience and flourishing or, on the contrary, for relational and health decline. It will appeal to researchers and students across psychology, communication, and relationship studies, as well as to health professionals who are interested in understanding how health conditions can shape or be shaped by patients' close relationships. Ashley P. Duggan is an Associate Professor in the Communication Department and the Medical Humanities Program at Boston College, USA. She is also the Co-Director of the Department of Family Medicine Research Division at Tufts University School of Medicine, USA.